Help, I need my vet out of hours! Inevitably, just like us, sometimes our pets become poorly outside of business hours. Yet not all vets are available during these times. At Arun Veterinary Group we believe veterinary care should extend beyond the daytime practice, which is why, as part of our continuity of care approach to the health of your pet, we are available 24/7. We’re proud to say that as an independent, family-style practice, we’re one of the few vets in the area who still run their own on-site emergency out of hours service. While some vets offer out of hours care as an outsourced service, we choose to maintain this service ourselves as we understand out of hours treatment can be an extremely anxious time for both pets and owners. We take great pride in the decision to run our own, on-site emergency service and our dedicated vets and nurses work flexibly within a rota to ensure a friendly face always sees you promptly during what can be a very stressful time. Our out of hours service offers a warm, secure environment for those pets who may need to stay overnight, and in the event that any of our patients need to be hospitalised you can be assured that they will nursed on-site at our Pulborough practice by our own team, in familiar surroundings. Our modern, integrated accommodation facilities ensure that our duty vet and nurse are able to closely supervise overnight patients and provide tailored care to suit each case. 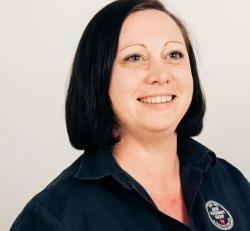 We believe a welcoming, reassuring familiar team member is an integral factor in an out of hours service. Why? Because we know you and the individual history of your pet’s health, which provides a key advantage in terms of diagnosis, plus some welcome comfort during stressful incidents of emergency care. In addition, the out of hours team is committed to continuous and personal communication with clients whose pets are staying overnight. Clients can expect regular calls from the out of hours team to update and reassure them. Simply call your normal practice number. Your call will be automatically forwarded to our dedicated out of hours support service who will take some brief details from you before making contact with our duty vet who in turn, will ring you back as soon as possible to discuss your concerns. Our telephone advice is always complimentary but please be aware that additional fees will apply for emergency consultations and home visits when this is deemed necessary.